One of the best things about Ravelry is that, despite being a huge community of over 2,000,000, people still connect on a personal level. I belong to a group on the website that has a 10,000-person membership (although it's arguable that even 1/3 of these members are "active")... One of our members had posted a few times talking about her husband, who had been suffering from a few health ailments. As time went on, her stories became sadder, until she recently posted that his life has unfortunately and unexpectedly ended. I love the miters, which are made by yarning over and then KTBL on the next round. 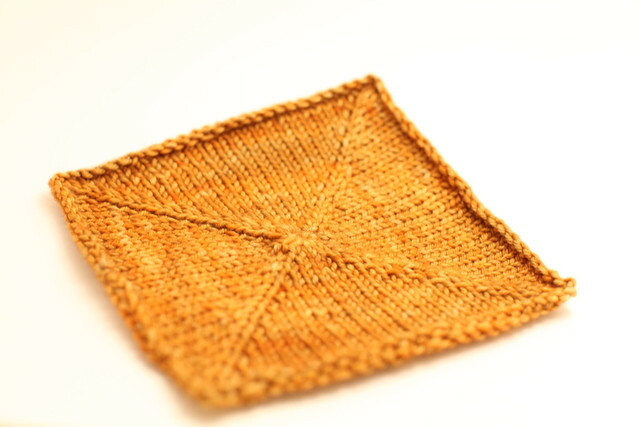 It makes a nice square with no eyelets and no pulling. Also, I freaking love my 50mm lens. Yum. 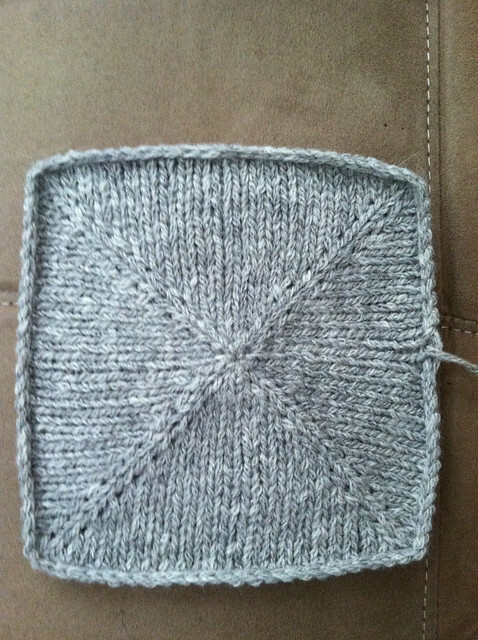 I did the EZ Sewn Bind off on the square, sewed up the hole in the middle, and blocked it out. I am NOT a fan of yellow as an apparel color. My olive skin tone means yellow makes me look positively green... So I am super happy to be able to play with the color. I meant to send it off in the mail today (along with some other packages, but my local PO at work is open for a whopping TWO HOURS each day, so tomorrow, it'll be. I love blankets. I need to finish mine, even though the cold weather is basically over. I still get cold in the AC, so perhaps I can find a use for it, after all? 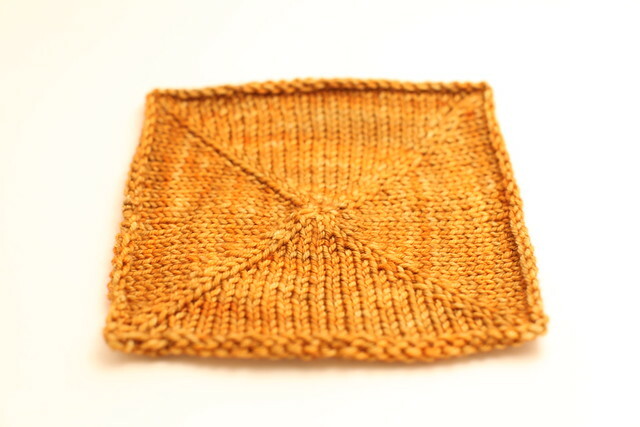 Do you have a pattern to knit this square?